I downloaded hapmap_3.3.hg38.vcf from gatk resource bundle. I then used the below command to remove chr notation. Exception in thread "main" java.lang.IllegalArgumentException: java.lang.AssertionError: SAM dictionaries are not the same: SAMSequenceRecord(name=chr1,length=248956422,dict_index=0,assembly=20) was found when SAMSequenceRecord(name=1,length=248956422,dict_index=0,assembly=null) was expected. Caused by: java.lang.AssertionError: SAM dictionaries are not the same: SAMSequenceRecord(name=chr1,length=248956422,dict_index=0,assembly=20) was found when SAMSequenceRecord(name=1,length=248956422,dict_index=0,assembly=null) was expected. I have tried a lot of times but still getting back the same error. Kindly do advise how can I solve this problem. I would then like to perform SelectVariants to extract variants that missed in HapMap but present in my dataset. Did you update the index file of your vcf after editing it to remove chr? If not, please do so and see if the error persists. @Geraldine_VdAuwera Good day and thanks much for the suggestion. I have used IGVtools to index the removedChr_HapMap, generated new vcf.idx. However, the error persists. Ah, the assembly property seems to be different. You'll need to edit it to match (replace null by 20 in the header). Hello there! I am also getting a similar error, though I don't know how to fix it. I got the VCF file from a collaborator and I'm running with a reference that I downloaded and indexed, but they are supposed to be exactly the same reference. Exception in thread "main" java.lang.IllegalArgumentException: java.lang.AssertionError: SAM dictionaries are not the same: SAMSequenceRecord(name=chrUn,length=62550211,dict_index=5,assembly=null) was found when SAMSequenceRecord(name=chrM,length=15742,dict_index=5,assembly=null) was expected. Caused by: java.lang.AssertionError: SAM dictionaries are not the same: SAMSequenceRecord(name=chrUn,length=62550211,dict_index=5,assembly=null) was found when SAMSequenceRecord(name=chrM,length=15742,dict_index=5,assembly=null) was expected. I mean, isn't the purpose of the SortVcf to reorganize the VCF file according to the reference? Why is it complaining that my dictionaries are different? (I apologize in advance for the very newbie question). IndexDictionaryUtils - Track variant doesn't have a sequence dictionary built in, skipping dictionary validation! Input files /u/flashscratch/flashscratch2/r/rturba/stickleback/sorel_data/first12/./stickleback12.filtered.vcf and reference have incompatible contigs. 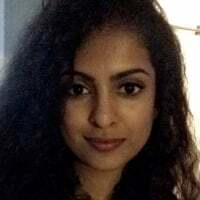 Please see https://software.broadinstitute.org/gatk/documentation/article?id=63 for more information. 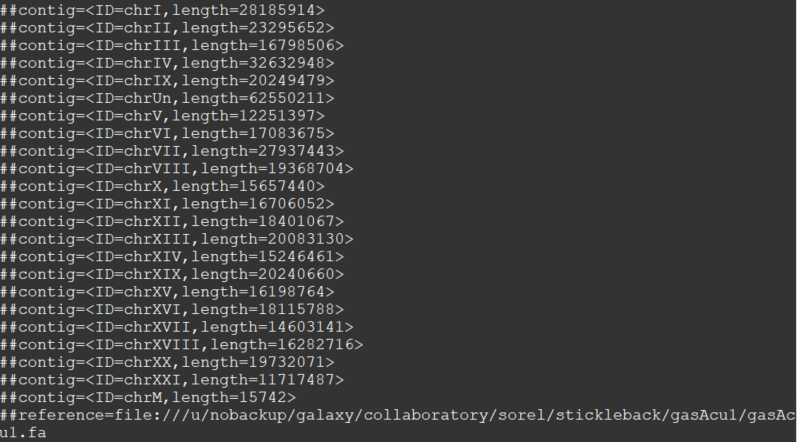 Error details: The contig order in /u/flashscratch/flashscratch2/r/rturba/stickleback/sorel_data/first12/./stickleback12.filtered.vcf and reference is not the same; to fix this please see: (https://www.broadinstitute.org/gatk/guide/article?id=1328),  which describes reordering contigs in BAM and VCF files.. Sorry this is so long, but I was trying to contextualize the problem, to see if maybe it was something I did wrong in the previous steps. Are you using the latest version of Picard? Can you also try deleting the VCF index and re-generating it? I'm using Picard v.2.13.2. I tried creating a new index at IGV and running the uncompressed version of the file as well, and I still get the same type of error. Can you post the VCF header that shows the contigs and the FASTA .dict file? It looks like there may be a slight difference in contig length that may be causing this issue. Sure! Thank you - and sorry for the late reply. I am not sure what is going on here. The lengths are all the same, so that was not the issue. Can you submit a bug report? Instructions are here. I just thought about this. I'm trying to sort a joined VCF file, the one with all the samples added together. Do you think this might be the problem? Should I use the sortVcf only for VCF files of single samples? I don't think that should make a difference, but you can try and get back to us. Just as an update, I finally got my collaborator reference file and managed to split the samples from the joint genotype file. I have not tried to test it using the single sample files, though. Exception in thread "main" java.lang.IllegalArgumentException: java.lang.AssertionError: SAM dictionaries are not the same: SAMSequenceRecord(name=1,length=60348388,dict_index=0,assembly=null) was found when SAMSequenceRecord(name=10,length=46591166,dict_index=0,assembly=null) was expected. Caused by: java.lang.AssertionError: SAM dictionaries are not the same: SAMSequenceRecord(name=1,length=60348388,dict_index=0,assembly=null) was found when SAMSequenceRecord(name=10,length=46591166,dict_index=0,assembly=null) was expected. I checked the contig lengths and they are the same in the fasta/dict file and my vcf as well. I do know that the VCF was generated with a version of the reference that included all the scaffolding contigs, and the reference dictionary that I tried to resort with is a truncated version of the reference (only the proper chromosomes 1-25 and MT). However, it seems strange to me that the error is reporting on proper chromosomes that exist in both files, and presumably should be reordered according to the reference dictionary. If there was going to be a problem I expected it to be with the 'extra' contigs listed in the VCF but not the reference dictionary. Any chance you can try with the original reference? Or, manually add in those extra scaffolding contigs? I have also attached my hg38 dict file and the header of my VCF file. It doesn't seem to be a discordance in the length of chromosomes. It's just the order of chromosomes that I was expecting PICARD to fix it. PICARD version is "2.17.0". My VCF file doesn't have an index and I can not run GATK on it because of contig issue. That's what brought me to PICARD to fix my VCF file for GATK. I built index file for my VCF file using IGV tools but it still didn't work. I tried to provide as much information as I could but please let me know if you need you need any other information. Perhaps some of the tips in this thread will help.